With support from a project funded by the Adaptation Fund through the South African Biodiversity Institute, she integrated climate-smart farming techniques and maize seeds that improved production and earned enough to cover her children’s school fees. Meanwhile a fellow villager, Mr. Joseph Ncube, increased his maize and bean production through the same project after learning to use night mist to grow crops. 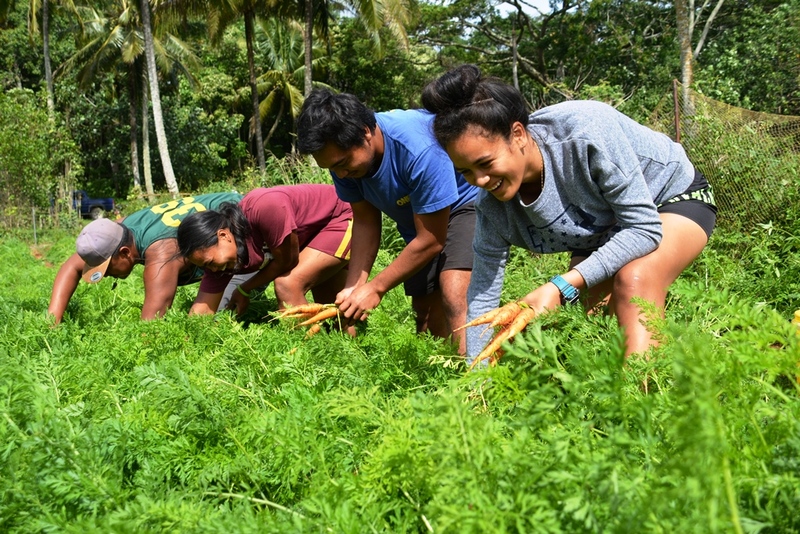 Across the globe in the Cook Islands, local youth are replanting 10,000 native trees to protect the coastline from disasters due to climate change, as well as turtle nesting sites that are at risk. It is part of a community-driven Adaptation Fund project implemented by the World Bank to enhance water and food security across 11 outer islands. These are just a few examples of the heart of the Adaptation Fund’s work – funding concrete, localized projects that help the most vulnerable communities in developing countries adapt and build resilience to climate change. Since its operations were launched 10 years ago, the Fund has allocated more than US$ 460 million to 70 concrete projects in 58 countries — directly benefiting nearly 5.5 million people. Many of these projects are breaking ground in adaptation and producing invaluable experiences that can be replicated or scaled up by others, which has already happened in several instances including in Pakistan and Maldives. Senegal’s Centre de Suivi Ecologique and Morocco’s Agency for the Development of Agriculture have also designed larger projects with other resources following experiences with the Adaptation Fund in which they innovated new adaptation actions.